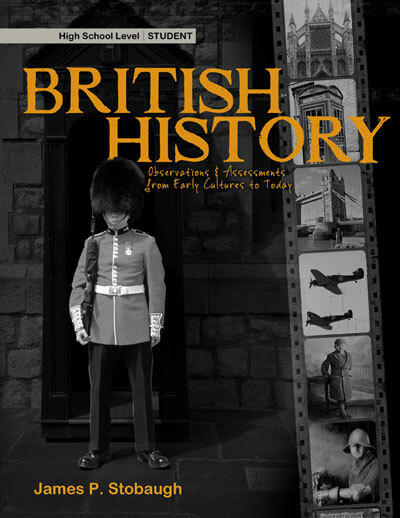 History (World, British, and American) for High School – Curriculum Review | Homeschool Supermom…NOT! So, are you a science/math person or a history/language arts type of person? I’ve been asked that question a number of times, and I’m sure you have been as well. I happen to love-love-love history and language arts. I appreciate math. I despise science. 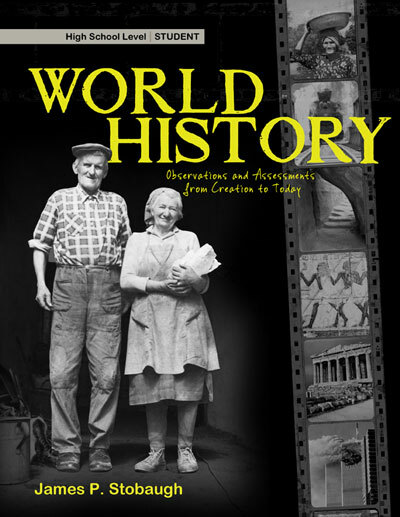 If you are the type of homeschool mom that loves science and despises history, I’m sure the hunt for a palatable, rock-solid, no-fluff, easy-to-implement, intelligent history course consumes at least a somewhat large chunk of your convention season curriculum investigations. 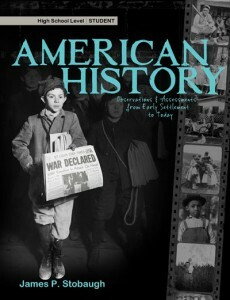 Whatever side of the history vs. science debate you fall into, this new high school history program for homeschoolers by James Stobaugh (Master Books) is definitely worth a second look! This is a three-year program (9th-11th grades) that is so easy to implement and use. But it’s academic…your student will learn to think! The Stobaugh History course is designed as follows: World History in 9th grade, British History in 10th, and American History in 11th – with a corresponding increase in information given to the student and output required by the student each year. Each text book has 34 chapters divided into 4 lessons plus an exam. The student should be able to complete a lesson a day (20-30 minutes of reading). The lessons are short enough to not be overwhelming, and are followed by a critical-thinking question. Each chapter also includes world view formation. So, here’s how you use it. You hand your student the text book and ask them to read lesson one and answer the question. The student does so. You check the student’s answer against the teacher key…and that’s it! But, what makes this course so ideal, is that it’s actually well-written, full of interesting information and black-and-white photos, but challenging as well! I love it! James Stobaugh’s critical-thinking questions are thought-provoking and interesting, challenging but not overwhelming. “His wife, Catherine, was unable to bear him a son. Violating church law, Henry VIII simply dissolved the Roman Catholic church, divorced Catherine and married Anne Boleyn. Ironically, then, the Reformation in England began, as it were, by default and over a love squabble. Even though these assignment questions require more than just a true-false answer, there’s no reason to worry. The Teacher’s book contains all the answers! I need to mention one more really great feature about these books. James Stobaugh has just released the companion literature studies for these courses. Think about the logic in this approach. When your high school student studies World History, he’ll study World Lit as well. When he studies British History, he’ll study British Lit, and when he studies American History, he’ll study American Lit! Brilliant, eh? 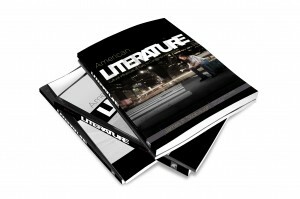 The literature component is brand new!…and guess what! You can win an entire set of James Stobaugh’s literature courses, hot off the press!…just for checking back here on Friday, November 16…Free Book Friday…for details! This entry was posted in Uncategorized by Susie Kemmerer. Bookmark the permalink.